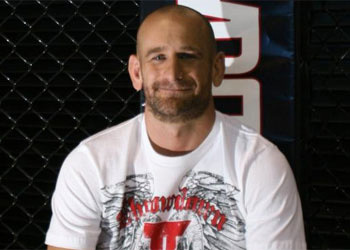 There isn’t much MMA guru Greg Jackson hasn’t seen during his reign as one of the sport’s most brilliant minds. Although the verbal sparring sessions between his pupil Rashad Evans and Quinton “Rampage” Jackson have supplied some of the best jabs ever, it’s old news for Coach Jackson. From the outside looking in, this beef appears more than authentic. Dana White recently admitted during a UFC 114 pre-fight media call that this was the worst feud he’s ever witnessed throughout his tenure as UFC president. While emotions are expected to be at an all-time high this Saturday inside the MGM Grand Garden Arena in Las Vegas, Jackson is confident that his protege will stick to the script and deliver a masterful performance. Another advantage of not going for a quick kill would be the fact Rampage hasn’t fought since defeating Keith Jardine, another one of Jackson’s talented students, at UFC 96 in March 2009. Most believe the 14-month hiatus will greatly affect his conditioning and precision, however Team Evans knows they can’t depend on that as their saving grace. “You can’t go in thinking about that. It’s pointless,” Jackson said of Rampage’s layoff to film “The A-Team” movie. “If he’s not the best Rampage ever, that will make our strategy that much better. If he’s Rampage as usual, then it’ll be business as usual. As soon as you can go in there and say, ‘Oh, Rampage had a year off,’ you get yourself in trouble. While MMA purists believe Evans’ best shot at silencing his bitter rival would be to impose his superior wrestling skills, Jackson claims his client’s game has evolved to the point that the fight can end anywhere.